Have you ever wondered what is the world’s most viewed image ever? In a world overflowing with images in all these social networking sites we visit all day, it is really hard to come up with an apt reply. Social media marketers are constantly battling it out on various platforms for a slice of our attention. Filters over filters and a heck lot of post production. Most of us would think it is an image that dates back many hundred years like the painting of Mona Lisa or some other photograph of a world-renowned photographer like Henri Cartier Bresson. Would you believe that the world’s most viewed image was NOT digitally manipulated, not photoshopped, no filters attached, and yet was beautiful. Do you think you have never seen this image? I think you surely have. I am talking about Windows XP’s default background image called ‘Bliss’. 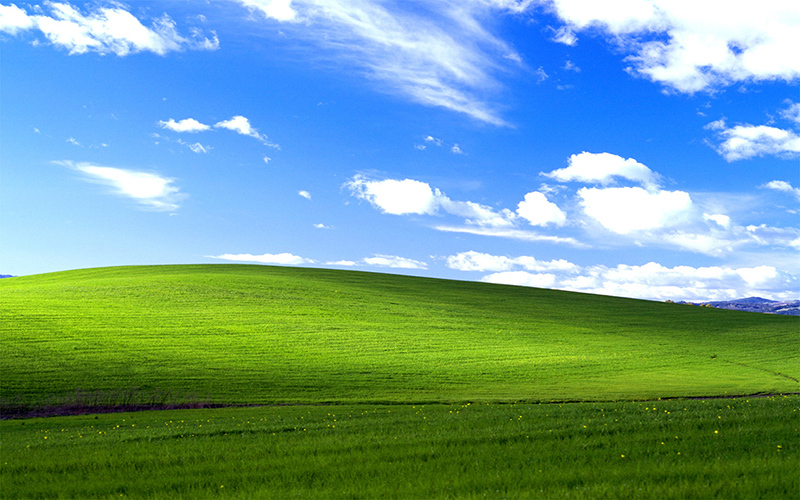 This incredible image of a lush green meadow and clear crisp clouds was taken by photographer Charles O’Rear in Sonoma County, California in 1996. In case you are wondering, this photograph was taken using a handheld medium format Mamiya RZ67 camera on Fuji film. Photographer Charles believes that “the size of the camera and the film together it made the difference and I think helped this photograph stand out even more. I think had I shot this with a 35 mm it would not have nearly the same effect”. Many people who used the Dutch edition of the popular OS mistook the name of the image to also be the location where the photograph was taken; it was called ‘Ireland’. ‘Bliss’ has had a plethora of speculations attached to it. Ranging from it being a digital creation from a dozen images to have been shot at places like France, New Zealand, southeastern Washington, even Germany for a while. Microsoft, however, did agree that it cropped the image on the left side of the frame and bumped up the saturation a bit to make it look more like a wallpaper. It seems very ironic now that Charles never knew that this very simple photograph would be the world’s most viewed image when he signed off the papers giving Microsoft the license. 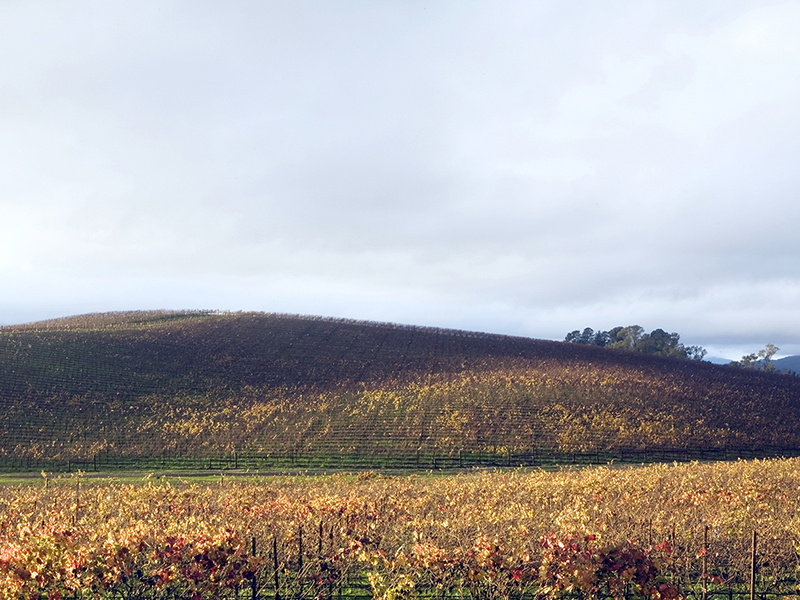 Given Windows XP’s popularity during the early 2000s, it is safe to say the iconic photograph has been seen over a billion times now. If you used a computer back then you are practically bound to see it. Microsoft also used the image for a $200 million advertising campaign to promote its software, Yes You Can. In April 2014, when Microsoft announced that it would no longer be supporting Windows XP; it came up with a short little video titled ” The story behind the wallpaper we’ll never forget“. It took us back a few decades, depicting the story of this beautiful image, and how it became what it is today. This the photograph of the same location taken years later (2006) by Goldin+Senneby. Titled ‘After Microsoft’. How does this image make you feel? Share it with the community. If you liked what you just read, it would mean a lot to me if you could just take a second to share it.